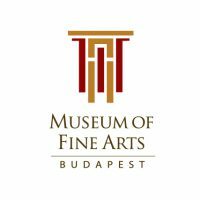 Within the framework of the program series of the Visegrad Group’s Hungarian presidency, the Museum of Fine Arts Budapest is organizing an international conference entitled “Active Collections” from 26 to 28 April 2018. The conference and workshop coordinated by the institution focuses on the new methods of granting the widest access to museum collections. This includes such topics as collection management, the legal background and the necessity of strategic planning of acquisitions, the sensitive issue of deaccessioning, enhancing the involvement of the audience with the help of digital techniques, or the organization of travelling exhibitions. All speakers of the plenary session and the workshop leaders are internationally acclaimed experts in their fields. The participants of the event will include professionals coming from governmental, museum and the academic field of the V4 countries.